There has been much attention paid to President Obama’s comments about global warming in his Inaugural Speech. In it he focused on the key point that the countries that lead the clean energy transition will lead the global economy. Whether we like it or not, he implied, clean energy is the future. Instead of resisting it we should throw our enterprising spirit into it — or risk losing both economic and political power. I was immediately put in mind of another famous man and another famous speech, this one given on May 25, 1961. On that momentous day, President John F. Kennedy made the speech to Congress that secured the support and funding to establish the United States as the wealthiest and most powerful nation on earth. No statement about our situation with regard to climate change could be truer. We know it’s going to be expensive. We don’t know what we will find when we get there. Kennedy understood that the critical step towards progress was to frame the public debate properly. Everyone knew it was going to be very expensive, everyone knew we were starting from behind and had a lot of catching up to do, everyone knew that it was hugely risky given that we had no knowledge of where we were going or what might happen if we got there. But he didn’t talk about the expense and risk of undertaking the venture. He talked about the expense and risk of not finding the money and taking the risk. In the US in 2011 no fewer than 14 weather disasters caused damages in excess of $1 billion each, $60 billion cumulatively. We are spending huge sums of money on engineered flood defense systems that produce cataclysmic failure with significant harm to life, property and the economy when events exceed predetermined design standards. The cost of inaction is mounting every year. In 2010 our coastal watershed counties accounted for $8.3 trillion, 58 percent, of the nation’s gross domestic product (GDP) and provided 66 million jobs. They are the heart of our economic engine. Hurricane Sandy closed down the Stock Exchange, wrought $20 billion in property damages and the cost in lost business could be anywhere between $10 and $30 billion. Economic costs aside, the storm struck at the heart of our social fabric with staggering numbers of people without power, food or shelter for several weeks. The risk of inaction is unconscionable. No one needs to be told that public money for capital projects is scarce right now, nor that in every community there is fierce competition for every tax dollar. But we are not making a choice between resilience and transportation, between resilience and housing, between resilience and education. We are making a choice about, and again I refer to Kennedy’s speech, “freedom and tyranny”- – the freedom of prosperity and security or the tyranny of unpredictable events. And this is why our response to climate change can be a compelling, consensus building, victorious moment for America — because resilience is not exclusive of any other investment. For a small incremental margin we can build resilience into every investment we make, securing our ability to adapt to an unpredictable future and mitigating the huge costs and risks associated with business as usual. We can identify those areas at risk from sea level rise. We can assess the vulnerability of and risk to of critical transportation, energy, water, and social and economic infrastructure. We can propose adaptation strategies that address risks over time including governance and planning. We can calculate the economic toll of doing nothing compared to the costs of proposed alternative adaptation plans. We can explore creative, public-private financing options. We can develop new land use/planning guidelines and/or regulations to limit new development in exposed areas. We can redesign the coastal edge to create a waterfront that boosts economic growth, restores natural protection, and creates a safe public amenity. We know how to fund it. We can begin immediately. When a developer wants to create a new community, that is the opportunity to site settlement in the right place, out of harm’s way. When the city wants to do something about its disused industrial waterfront, that is the opportunity to preserve natural wetlands as public space that functions as a protective buffer. When the local utility company is upgrading its infrastructure, that is the opportunity to make sure the new system is climate-resilient. These opportunities need to be seen and seized. We are not giving private and public entities a choice of this or that, but rather of this and that. 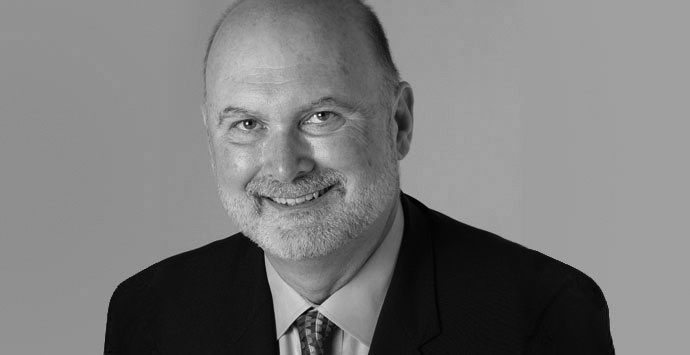 Gary Lawrence is vice president and chief sustainability officer of AECOM Technology Corporation. You can follow Gary on Twitter @CSO_AECOM.